Ark Survival Evolved has been announced for Nintendo Switch not too long ago, and the announcement surprised pretty much everybody since the latest Nintendo console is not as powerful as PlayStation 4 and Xbox One. In a recent livestream, Abstraction Games’ John Day talked about some technical tidbits that made the game possible on Nintendo Switch. While he didn’t go particularly in-depth, John Day revealed that Ark Survival Evolved is possible on Nintendo Switch thanks to a few tweaks, such as procedurally reducing meshes on assets and dynamically scaling the resolution in intelligent ways. The Switch does not have the horsepower of a high-end… or even a PS4. It’s not actually particularly close to that. But as I said before, we are an engineering company. We have extraordinarily smart people who do very technical things very, very well and so by doing things like procedurally reducing meshes on assets and dynamically scaling the resolution in intelligent ways and things like that, we can manage some of that performance. John Day also spoke about performance, saying that there isn’t a specific target the team is pursuing, preferring to take a different approach and evaluate what works in specific contexts. Day also spoke of changes that will ease the demand on the system. I think we’re trying to find places where we can ease the demand on the system without compromising the quality to the player. I think there are a lot of places where we can reduce the number of triangles in a given asset, and it doesn’t really look significantly different even though it’s got way fewer of them in it. 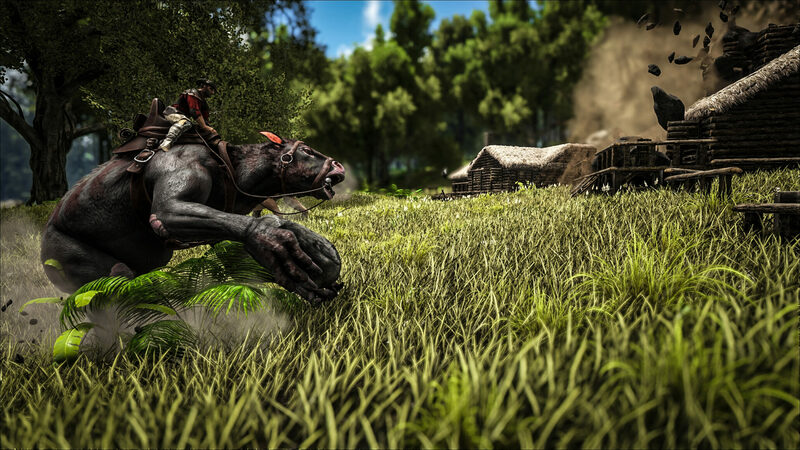 Ark Survival Evolved will release on a yet to be confirmed date on Nintendo Switch.